People are always asking us where to get frames for their drawings. I wish it was easier to ship a frame, otherwise we would offer that to go with our products. But its probably best for you to pick out your own, individualized, frame for your guestbook drawing that fits your style. Almost all of our product sizes are standard frame sizes, that can be found pre-made. Lots of people like to have this special keepsake professionally framed, either before or after their special event. 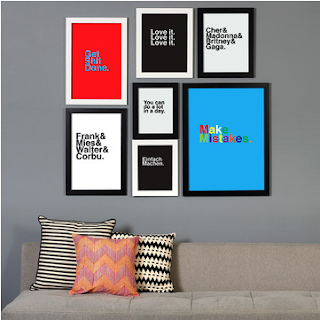 Others are looking for an online frame source for pre-made frames. I stumbled across a deal through Fab.com this week with 11x14"(our size extra small) and 18x24"(our size medium) recycled plastic frames for $15 and $20. Pretty good deal. Just something simple to keep your work of art safe and on the wall. It says that its only for this week, but since they are made my fab.com, I imagine they will offer them again. Follow the links for black, and white, frames. Happy Framing!